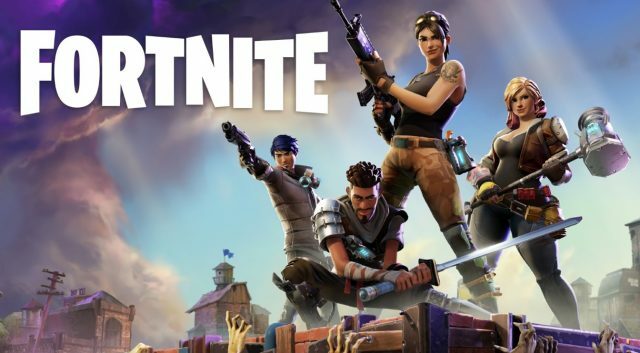 Epic Games is riding high on the success of Fortnite, which is currently the most popular title in the world by most measures. The company decided recently that gave it enough clout to take on Steam, the largest and best-supported source for PC games. Epic’s storefront launched recently with just a handful of games, but it’s already announcing some exclusive titles that could lure players away from Steam. If you’ve been playing games for long enough, you might remember how novel Steam’s all-digital delivery model seemed at first. The idea you wouldn’t have physical discs for your games was troubling, but the increasingly speedy internet connections of the past decade have alleviated most of those concerns. However, many game developers and publishers have started to worry that Steam is getting too dominant in the industry. Smaller players like EA’s Origin and GOG have their place, but they haven’t made a dent in Steam. Epic hopes to woo developers with a more favorable 12/88 percentage split between it and publishers. Steam only offers publishers 70 percent of sales. That deal is already bearing fruit with six developers committing to an exclusive launch on the Epic store. There’s Hades, which was among the launch titles for Epic. This action-RPG comes from the developer of Bastion, and it’s currently locked into Epic. There’s also the adventure game Ashen, which has a Dark Souls vibe. The long-awaited Super Meat Boy Forever is probably the biggest indie get for Epic, which will launch in April 2019. It will be exclusive to Epic’s store for at least a year after release. Yes, you can get Fortnite on the Epic Games store. Coffee Stain Studios rose to dominance with the bizarrely engaging Goat Simulator. Its upcoming title, the world-builder Satisfactory, will also launch only on Epic. The developer even took down the Steam product page. The PC version of the upcoming space shooter Rebel Galaxy Outlaw will drop in early 2019, and this too will be on Epic only for a year. Although, there will also be PS4 and Switch versions. Team17 of Worms fame is also launching a multi-platform title soon. Genesis Alpha One will come to PS4, Xbox, and PC, but the PC version will only be on Epic. Some gamers will be dismayed they need to install another game portal to run games, but developers seem excited that a big player is trying to challenge Steam. This could push Valve to make changes, be more responsive to publishers, and maybe even develop some new exclusive games. Ahem… Half-Life 3, anyone?